Last month Kingston were the first company to release a 128GB USB drive, the Kingston Data Traveler 200, now they have gone and doubled the capacity with a new USB drive the Kingston Data Traveler 300. The Kingston Data Traveler 300 comes with a massive 256GB of storage, and around 90% of the drives content can be password protected with the built in Password Traveler software. 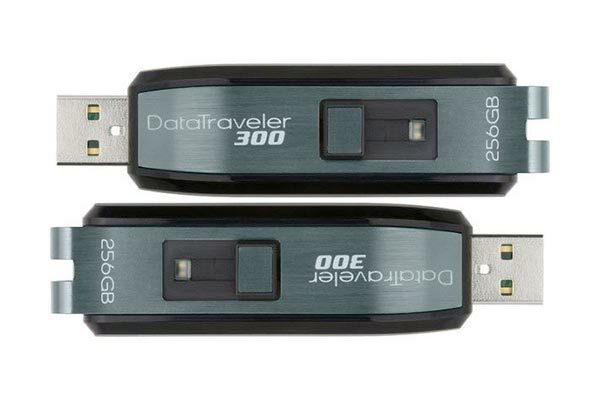 The Kingston Data Traveler 300 will go on sale for around $900.